An early beta of the new R-Type Deluxe has been released at STNICCC. This is a game that means so much to me for a couple of reasons: it's such a great shoot 'em up and my parents bought me this for my 17th birthday! Lotharek are quick! They delivered it on Christmas Eve so I've spent the entire holidays playing and the possibilities appear limitless because I am no longer struggling with meagre storage. Lotharek's ultrasatan is a brilliant piece of Jookie kit. Buy this!! 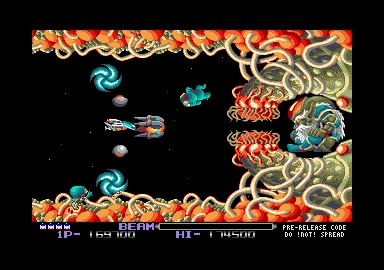 One of the most famous shoot 'em ups ever - Xenon II Megablast. This will always be a firm favourite of mine and it was exciting to hear Peter Putnik had doctored it back in January with his magic. The game now streams 25Khz music directly off the Ultrasatan - sorry STFM guys - this feature requires the audio co-processor hardware of the Atari STE. It's a jaw-dropping 32MB upgrade, which is an unbelievably huge size for an ST game and I certainly hope Peter converts more games in the future! 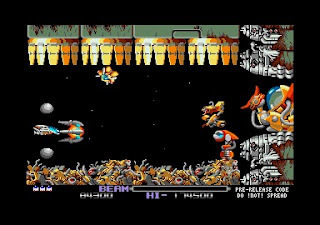 Drone, an Atari STe demo which I would personally class as a masterpiece with music, artwork and presentation are so far beyond excellent. Released back in 2012 by the legendary Dead Hackers. Drone is an 11+MB demo and was released for Sommarhack to pay special tribute to the Ultrasatan. This is one of the best demos I've ever experienced. Super Stario Land was released in 1995 by Top Byte and might remind you of a certain game featuring a daft Italian plumber? Yep, it's pretty darn similar but this isn't merely a cheap clone but a great game in its own right that offers fantastic entertainment. It's a delight to play with controls that are both easy and responsive so feel authentic. The graphics scroll by at a smooth 50fps with fine attention to detail, if small by ST standards. Sound effects are pretty chirpy and suit the console style but, if you press F9, then music will play by Big Alec! I love this game. It's like having a Nintendo on your desk, but with a keyboard! A brilliant platformer. - Hard disk installable games can be found over at 8BitChip. - Old Games Finder has access to every floppy disk. I've always been interested in 3D from my early computing years as a kid in the 80s using the ZX Spectrum. Games like Ant Attack, Deathchase and then later on the mind-boggling Knight Lore. 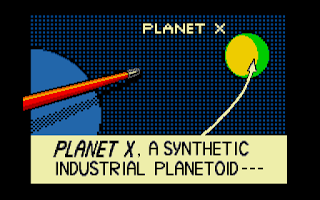 That game just blew my mind, so when I came across 3D Construction Kit for the Atari ST I was delighted. After a little googling, I came across a fantastic resource by a Stuart Wilson that should be very helpful to get the best from the program. They also run an active FaceBook community that you should join. 3D Construction Kit is a wonderful application for making your own worlds and I hope this web resource is of some help to any of you guys that fancy trying it out? This video is the actual VHS recording that was released back in the day as a trainer. Fascinating stuff and it does explain many aspects of the program very nicely. 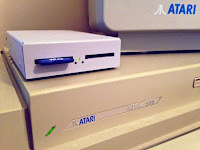 There are lots of interesting projects already created on the Atari ST and many are blimmin'' excellent too! 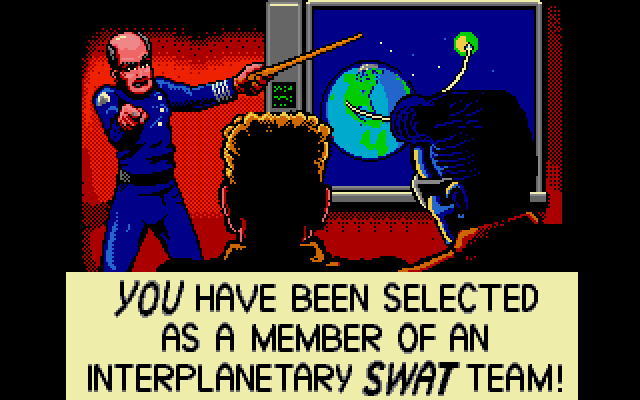 Sometimes you need a release from this strange world and today I did just that with SWIV, an exceptional shoot ‘em up released in 1991 by Storm. Yes, I blasted the living daylights out of those military bad boys using my chopper! What a cracking game this is, and extremely well developed too. So, I then went one further and recorded a video (under emulation) and noticed it felt a little slower compared to playing on a real Atari ST. Also, the sound effect are not as pronounced. 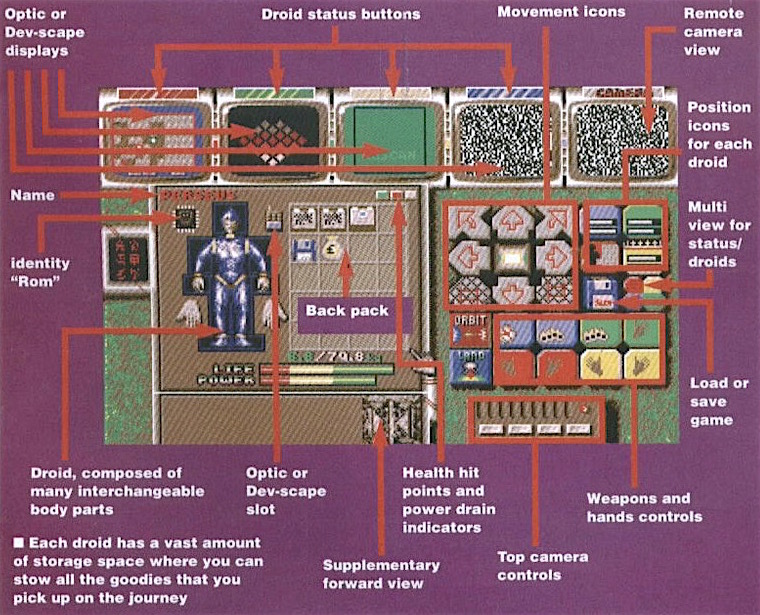 All this is very odd but NOTHING ever compares to the real hardware. SWIV is excellent. Certainly, an ageless shooter which I highly recommend. Download it from Klaz because this version supports installation to hard drive, cheats, and more. Of course, 8BitChip has an equally excellent download you should play with Old Games Finder having all the floppy images. And just for giggles... Moments ago, my hard drive started to make a strange whirring noise, almost like it was trying its best to spin-up, but failing. 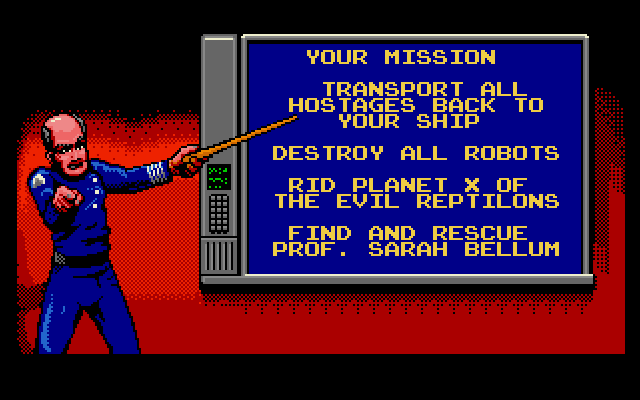 I think SWIV killed it but I cannot complain because it was the original drive and therefore about 24 years old. Now that is quality and value for money, folks! Note - the video was recorded using an emulator and YouTube itself suffers the quality somewhat also. This is a brand new demo for the Atari STe and was only released 2 days ago by the mighty Leonard, of Oxygene. Yes, he has always been one of the most uniquely talented programmers but this production blew me away. Check out that Roto Zoomer! Do watch the end credits which feature many interesting details about the coding. TDE is a program to convert your old floppies into MSA disk images. Yes, I know there are excellent apps already out like Jay MSA and Magic Shadow Archiver but TDE works at a technically lower level and therefore has far more success with those crusty old floppies. In fact, even if TDE fails with a dead part of a disk, it still offers you the option to save a good image thus you're able to rescue the remainder. Such an excellent and essential utility! Those D-Bug'ers have the latest release of TDE to download so go grab it now! 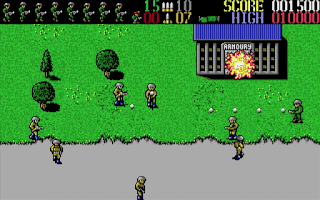 ImageWorks gave us this cool shoot 'em up in 1988 and it's a pretty much another Commando/Ikari Warriors clone designed to unleash our inner combat soldier. 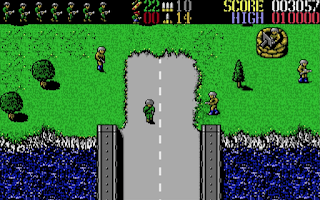 Every time I play, I'm reminded of those A-Team episodes which took place a dodgy part of South America and, just like in the tv show, an evil dictator is causing havoc! However, B.A. Baracus refuses to get on the plane, so pick up your weapon and head out to the killing fields for some fun. 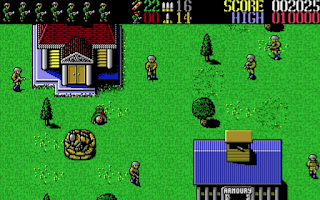 Bullets flying and armouries to loot. This is just like being part of the A-Team!! 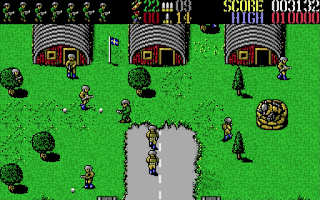 This war zone is stuff with enemy soldiers and their flying bullets so it's a good job our machine gun has unlimited ammo. Also, we have a rocket launcher for extra firepower and some buildings can be plundered by blowing off the door with dynamite and is especially useful on ammunition depots! 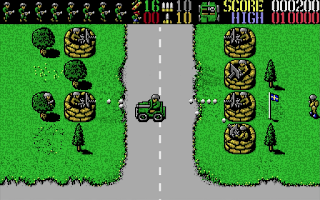 Vehicles can be utilised, so why not mow down a few enemy soldiers along your journey? The visuals are very 1980s with a clean cartoon-like style and smooth scrolling. Sound effects are nice with various sampled sound effects too. Can't complain! 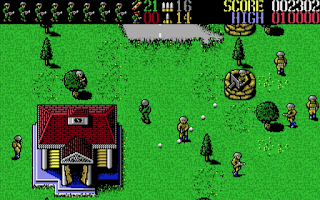 Watch out for sneaky soldiers hiding in the trees and also those operating gun turrets. This is one of those games I'm glad I bought because it's incredibly good fun and highly addictive. Fernandez Must Die might have zero originality but it makes up for that with bucket loads of action. An awesome shoot 'em up. 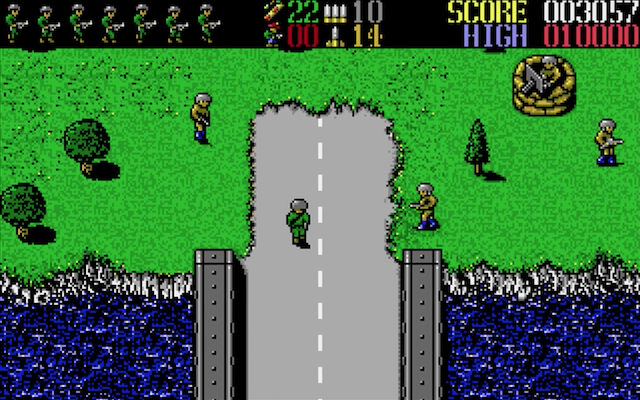 Pick up your weapon, soldier and get out on that battlefield using either a floppy or hard disk! The action comes thick and fast and the onslaught of soldiers never ceases. Oops, I died!! 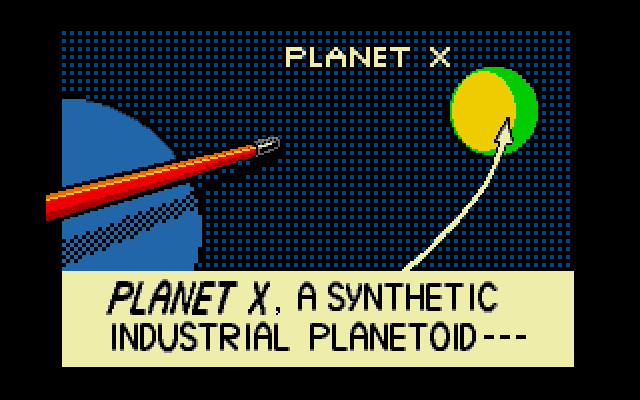 Oh no, evil Reptilons are hell-bent on destroying us and have taken hold of Planet X. They've enslaved the human population and forced them to build a robot army for an invasion. Jake and Duke are two heroes with a simple plan: destroy as many robots as possible, trash the computers, rescue every cute girl and save the day. Robot Monsters is played in a fashion to other 3D isometric games, just imagine a pinch Buck Rogers mixed in with a dollop of Gauntlet and you get a general idea. Your main goal is to rescue the humans, without forgetting those held in stasis pods, and along the way are numerous traps designed for us soft fleshy humans: sharp spikes, rotating chunks of metal, and electric floor panels. All this is going on whilst Planet X constantly creates new enemy robots. The hoard is relentless but I do love the biscuit-looking models which are actually quite cute! We have a laser weapon which is great but refrain from overuse otherwise it becomes less effective... Thankfully, it can be charged by collecting the green blobs that a dead robot can leave behind. There are also bombs - just hit the shift key and they detonate straight away killing anything within your vicinity - even the captives - so be careful. A canal stage appears after a few levels which offer extra bonuses but isn't essential to your overall progress and I wasn't too eager about it anyhow. 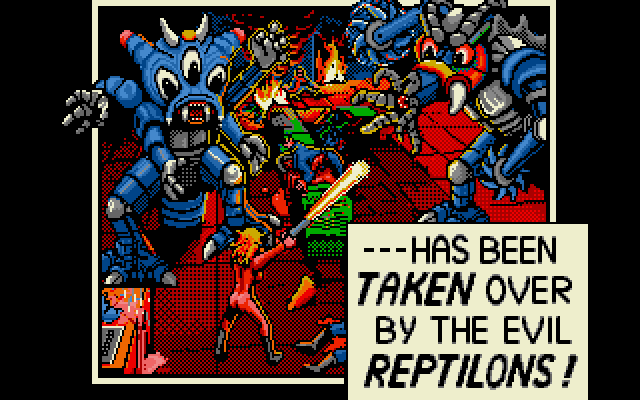 The big Reptilon boss will first seem an impossible opponent but there is a cunning way to avoid it using a few bombs and a little joystick waggling... Just ask if you need any help. I've really enjoyed playing this great game which is full to the brim of originality and frantic metallic mayhem. It's a demented game and I love its comical personality, characters, and superb gameplay. An iconic 16-Bit shooter! 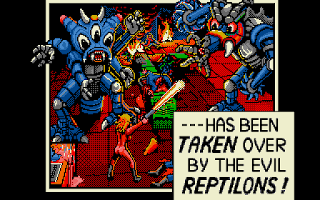 Escape From The Planet Of The Robot Monsters can be installed to hard disk or ran from floppy. First impressions are pretty good with lovely music, cartoon visuals and cute sprites roaming about. Just look at those chickens!! However, push-scrolling is used which is a severe shame because the game's mechanics demand proper scrolling. Well, it is unfinished so I shouldn't complain too much and the push technique is fast and responsive. Gameplay is tricky for such a cute looking platformer so I imagine lots of frustration ahead of me but I'm delighted we have a new game to play. I'm really looking forward to giving Lupo a proper going over tonight. Update: during a game press CTRL and type: otrebla. Thanks to Luca Stradiotto!! 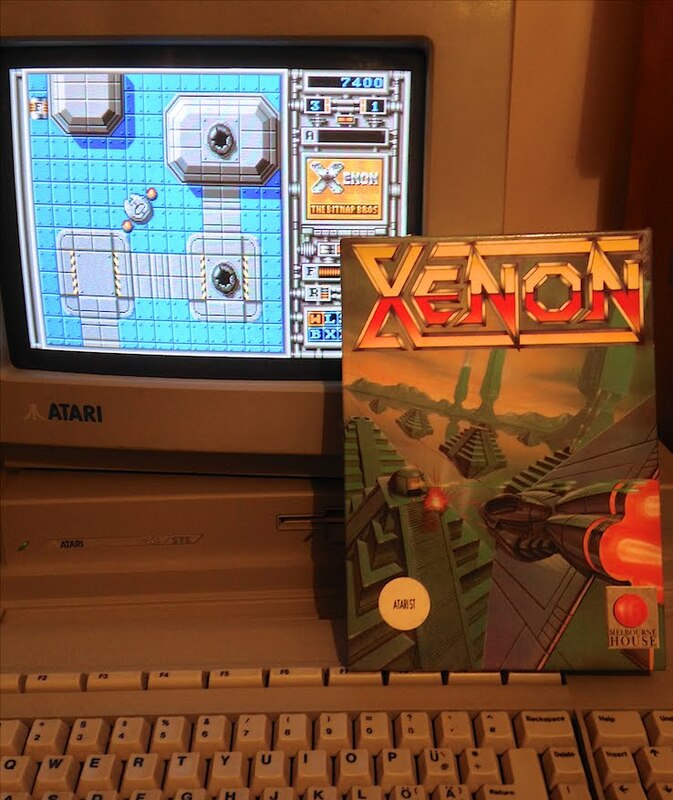 If I was to select one game which perfectly describes my exciting entrance into the (then) new world of 16-Bit computing - it's gotta be Xenon!! 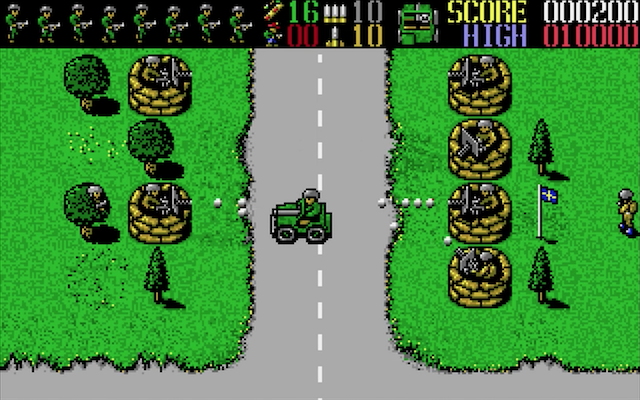 Such an iconic release and, because I came from the colour-clash world of ZX Spectrum, this blew me away with its amazing mind-boggling visuals/audio. Literally, one of the first floppy disks that I carefully slid inside my new Atari ST, but I didn't know what to expect as the drive made its infamous click..click..click. 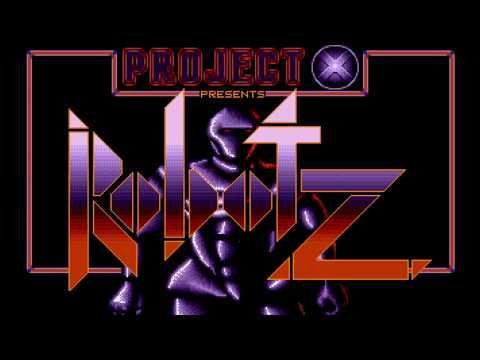 Moments later my jaw hit the floor when I first saw those incredible graphics along with the zesty chiptunes by Dave Whittaker. Xenon is every bit as good as I remember. 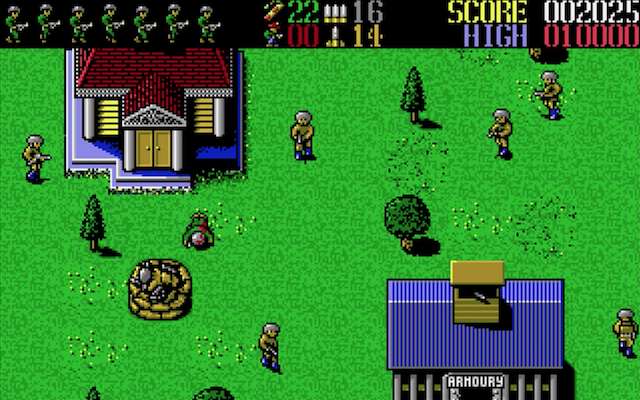 The gameplay starts off so well balanced with many baddies to encounter over a short area. We then there get to battle against a weird ball-like Alien ship. This takes a lot longer to kill than you first realise. (Well, for me anyhow!). Don't forget to waggle that joystick and flip your 'tank' into an aircraft at any time. Xenon is pure brilliance. 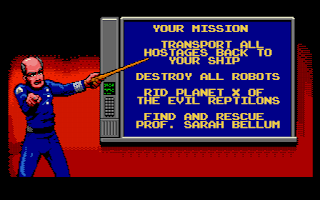 A true, and timeless, Atari ST classic which I urgently suggest you load up right now! - Both D-Bug and 8BitChip have converted this great arcade game to run off hard drive! 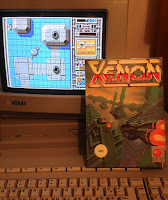 - Those needing a floppy disk can find Xenon on Timewarp #51 thanks to Stonish. Satan has been a bad boy again and turned the world on its head so it's our job to reverse his dastardly deeds before it's too late. Developed by Optimus Software for Gremlin, we are Percius and fly on a mythical horse called Pegasus. Our adventure is split into two parts: a shoot 'em up, which has us riding Pegasus and then a platformer where Percius is free to unleash his wrath using a rather large sword (it flips between these two styles throughout). 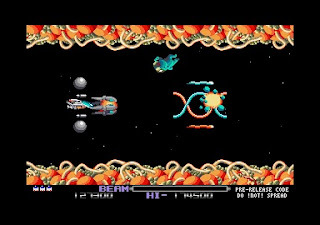 The shoot 'em up parts are quite good and challenging - just imagine something like R-Type, but on horseback, and you have the idea. Far from original, the baddies come at you in the expected patterns so make sure you hit the fire button and collect their crystals that they leave behind when dead. These enhance your weaponry and there are also lots of awesome power-ups too. The platform level follows next and this is probably my personal favourites. Collect the crystals and kill all the baddies once again... Yup, hardly riveting stuff but I like it. The graphics are a little bland and I fear a lame port because we all know that the ST is far more capable... but at least the scrolling is nice. Audio is feeble and it's only the firing which stops this from being as silent as a ZX81!! 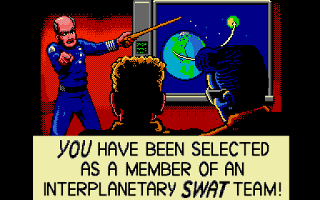 Okay, this is a lame Amiga port. That's how it feels to me. However, in its own right, this isn't a bad game but should have been far better. The shoot 'em up is quite good fun and, I must admit, that I enjoyed the platform stage the most. Possibly the best aspect is riding on a flying horse, freaky stuff!! 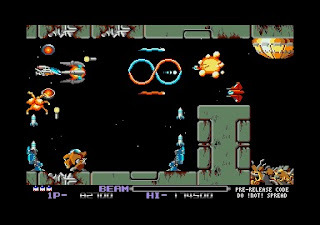 Pegasus had potential which wasn't exploited so there are far better (shoot 'em ups and platformers) to play on your Atari ST... Give this one a miss. 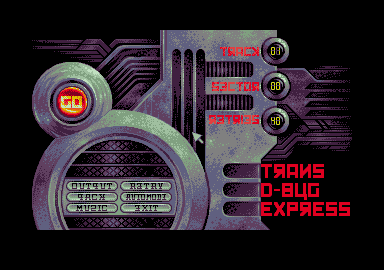 - Download Pegasus from the D-Bug and 8BitChip, both with hard drive support. - Floppy disks versions can be found using Old Games Finder. -> use the arrow keys to select your starting level. -> F1 for extra lives. -> F2 to select a power-up. -> F3 for an extra special weapon shot. -> F5 advance a level. -> F7 for a nifty shield. - To view the greetings, enter this code as a password on the title screen: CATFOOD. I recently bought Captive and anyone with a brain knows this to be an awesome RPG game by Mindscape. The Ultimate Captive Guide is a website created by Pierre Fournier and I'm sure you'll find extremely useful. Captive's story is simple, you have been held a prisoner for a couple of hundred years for a crime you did not commit (and the A-Team thought they had it bad). After such a long time, your freedom from the unjust hell is your only goal in this RPG not too dissimilar to the Dungeon Master ilk. Playing through a fantastic 3D first-person perspective with a creative UI that has you configuring and controlling droids from a conveniently placed briefcase! The UI is excellent even though it took some time for me to fully master. The graphics are excellent with beautifully drawn monsters that are perfect for its futuristic realism. Audio could have been a little better - especially using more ambient sounds - but what we have is good and certainly doesn't spoil its captivating (sorry!!) atmosphere. Yup, I really love this game and my snippet here isn't doing it justice whatsoever. Perhaps I'll get around to writing a review? One day... For now, I'll end by saying that Captive is a classic and truly the amazing adventure which will eat away your spare hours. An outstanding RPG you will enjoy living through. - I've found a neat video which should help Captive newcomers tremendously. - ST Format published this piccy in their magazine which I think is very helpful.